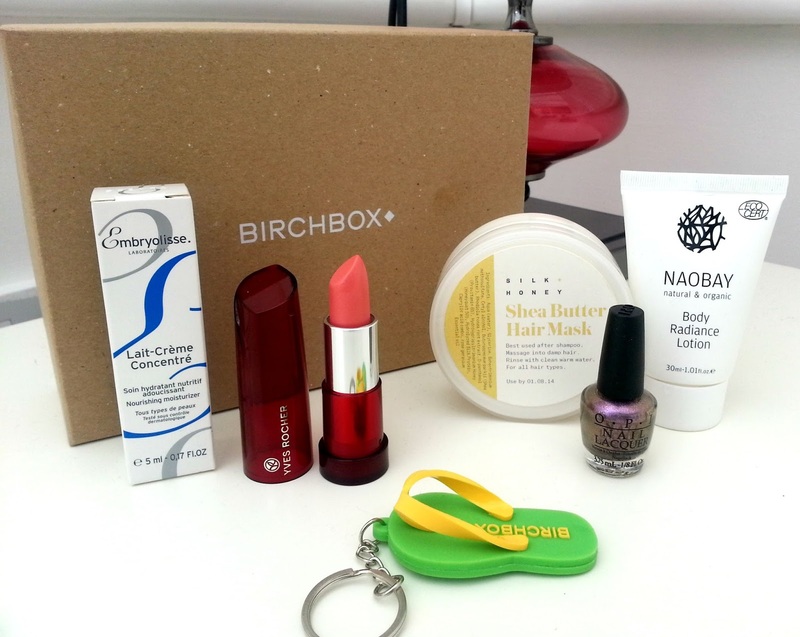 If Im honest, this month's birchbox didnt wow me, even though there was a good variety of products. Maybe I'm just getting harder to please, who knows. This months theme was the world cup, so they have selected top beauty players from across the globe. Along with a fetching yellow and green bag to mimic brazil and a a flip flop keyring to match, which I'll probably just keep for in the house on our spare set of keys cos it does look a bit erm... tacky. Embryolisse moisturiser (France). I've said it before and I'll say it again... I'm not massive on skincare so this didn't excite me like it would others. Yves Rocher sheer lipstick (France). This past year I've really got into lipstick, so much so that lipglosses have become a thing of the past now. I have always associated lipglosses with the 'younger' generation, something I feel I no longer belong in, so alls good! The colour of this lipstick looks scary but it applys almost sheer, given just a very subtle colour to the lip which is perfect for me at work to give my lips some moisture because I do suffer with sore lips if I have no balm on them. Silk & Honey hair mask (Canada). I dont often use hair masks so I'm rather excited about this. OPI nail polish from their brazil collection . I can't say no to a good nail polish. This is quite a unique concoction of colours and reminds me a little of when you see a petrol mark on tarmac, you know how you can see all tne pretty colours.. this has a very similar effect but with just purple and gold. Although this is nice its a fairly wintery shade to have in a spring/summer box. Naobay body radiance lotion. Oh.dear.god. ANOTHER body lotion? Really... I seriously need to show you my stash then you'll understand my sigh of annoyance. Was you happy with this months box? Have you entered my giveaway to win some Bioderma? There's 2 bottles up for grabs and only a few days left before it closes! Get clicking and enter now!